Dassault Systemes CATiA is one of the most advanced product design applications in the world. Hardware manufacturers are required to certify their products to ensure compatibility with Dassault software. Virtually all 3D CAD applications are single-threaded, meaning that the core functionality of the software can only make use one a single CPU core. Modeling and design tasks in Catia will benefit from a higher CPU clock speed rather than many CPU cores. 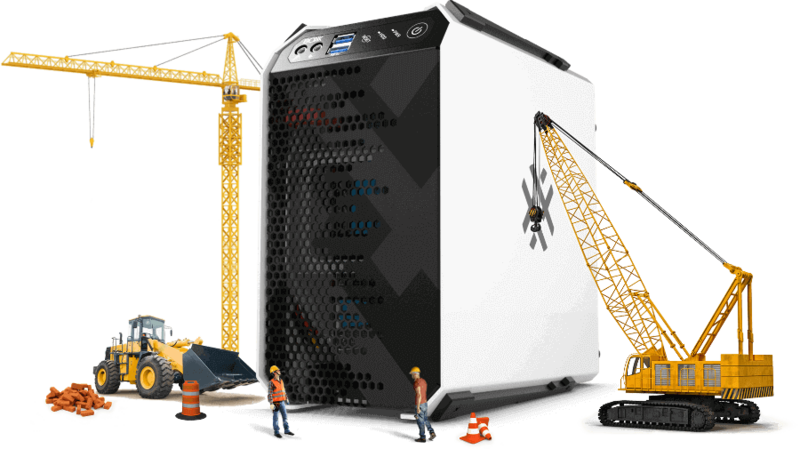 This is why BOXX offers professional overclocked workstations engineered for rock solid reliability. Multiple GPU workstations are ideal for fast, real-time design review using Catia Live Rendering based on Nvidia Iray. BOXX APEXX workstations are available with up to 5 GPUs for blazing fast interactive feedback and final rendering. If you plan to design and render on the same workstation, we recommend a multi-GPU workstation combined with an overclocked CPU. Configurable with dual Intel® Xeon® processors (up to 56 cores), the powerhouse APEXX D4 provides maximum core count for unparalleled rendering and simulation. The APEXX D Class is our most versatile platform with maximum memory, up to four professional GPUs, and plenty of hard drives.